It is a known fact that the makers of 'Aravinda Sametha' released the songs of the movie directly on the Internet. Composed by Thaman, out of all the four songs that got released, 'Peniviti' song became a super hit. The heart touching lyrics and the pleasant music made the song one of the chartbusters. But after watching the movie, netizens are commenting that the makers haven't given much importance to the song. 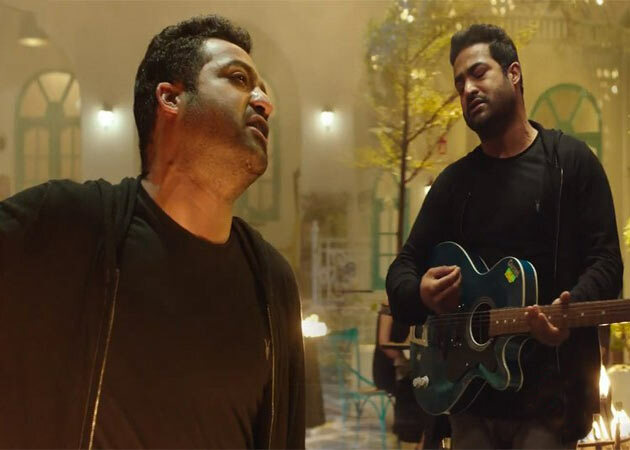 Some even commented that Trivikram's placement of the song is awful as they felt that, only for including that song the makers made NTR say some dialogues and even the video of the song is not that impressive. The party culture set and the western backdrop with girls wearing skirts failed to elevate the emotion in the song. Also, NTR's dance to that song was not at all appealing. So, after watching the movie it is evident that the song hasn't worked out well. In fact, Trivikram made two versions ready for that song. There is also a song with the female voice. But they only included the male voice in the movie. However, the placement went extremely wrong which disappointed the fans.